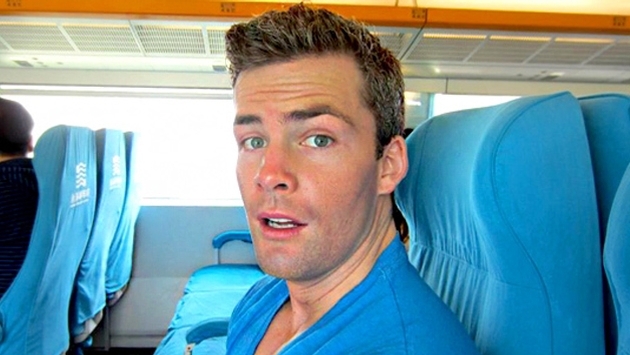 Ryan Serhant may be a lot of things: a great real estate broker, an actor, and a real stud, but the "Million Dollar Listing New York" star doesn't seem to be a fan of rules, at least when it interferes with closing a deal. The Bravo TV personality boarded a flight from New York to Los Angeles on May 7, when he was asked to turn off his cell phone. Of course, money was the topic of conversation for Ryan, and that appeared to be the only thing he cared about as the plane readied for takeoff. "Plane ready for takeoff and the stewardess is ready to kill me (see her crossing her arms) but I just have to Close. One. More. Deal," he captioned the photo on Instagram. Some fans responded to Ryan's post with "You are awesome" comments, but there were some who felt he acted a bit "douchey." Then again, dedication is the key to success, right? We're sure Ryan didn't hold up the flight for too long. After all, he'd likely be booted from the plane if he didn't adhere to the rules. What do you think of Ryan's behavior? Have you ever had an emergency phone call as a plane readied for takeoff?